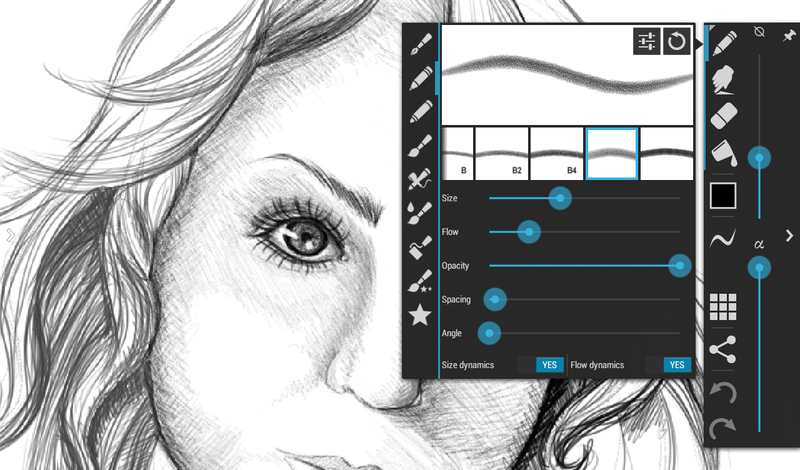 Best Free Drawing Apps for Android | The Daily Programmer '+g+"
Art Flow is a great tool for both amateurs and professionals. There is a free version with limited features, and a pro version as well. It allows working on layers (upto 7-16), and also export to PSD (for the photoshop fellas). Infinite undo and redo is possible. The free version has 20 basic tools, 2 layers, limited undo options (upto 6 times), and no PSD export.